I’m the Lead Pastor of Aletheia Church in Boston, MA — a growing, diverse church passionately committed to bringing the truth, grace, and the changing power of the Gospel for the glory of God and the good of all people. I’ve been married to the love of my life, Hope, since December of 2003. Since getting married, God has taken the us on amazing adventures and through some pretty tough challenges. About 4 months after marriage, we were called to move to Edinburgh, Scotland to help plant two new churches. I quit my job, raised a bunch of money, we had a baby, and set off. For five years, we labored alongside a great team, had two more children, and saw God do amazing things. Today there stand two new churches where there were none — and I’m really grateful for that grace. In 2009, the we transitioned back to the USA to plant Aletheia Church in Boston. Fueled with a passion for God’s truth and grace to permeate all areas of society, I feel honored and excited about the task of pastoring. Since starting Aletheia in our living room at 26, the church has not ceased to grow and reach those who were once far from God — and I’m really grateful for that grace, too. Completing Master’s Degrees at Reformed Theological Seminary, and Gordon-Conwell Theological Seminary, I’ve written a couple of books and stay pretty engaged in teaching and preaching, both at home and as a guest speaker at various events around the country. My newest book is called The Art of Rest, and will be published with The Good Book Co., out early 2018. I’m also in the middle of a Ph.D. at The University of Aberdeen and a D.Min at Gordon-Conwell. Now we’re in Boston, we’ve got four awesome kids, and we’re living the adventure of faithfulness to the call. You can download Adam's CV here. Aletheia Church is a growing, diverse, multi-site church in the Greater Boston area committed to making disciples who bring the truth, grace, and changing power of the gospel for the glory of God and the good of all. Every Nation is a global family of churches and ministries that exists to plant Christ-centered, Spirit-empowered, socially-responsible churches and ministries in Every Nation. This is my spiritual family, for whom I do a lot of teaching and leading. TGC is a great group of men and women who seek to renew the church in gospel-centered ministry. I write for them from time to time, work locally with the TGC New England chapter, and appreciate much of what TGC does. 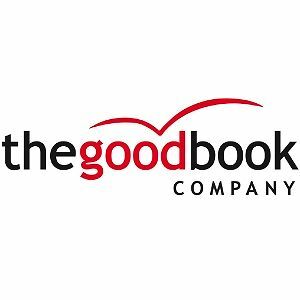 TGBC is my current publisher, and they are passionate about the Lord Jesus, His word, His church and His gospel of grace. Motivated by this passion and their involvement in local churches, they love to create and publish biblical, relevant and accessible resources that will encourage you and your church family to keep going, keep growing and keep sharing your faith.